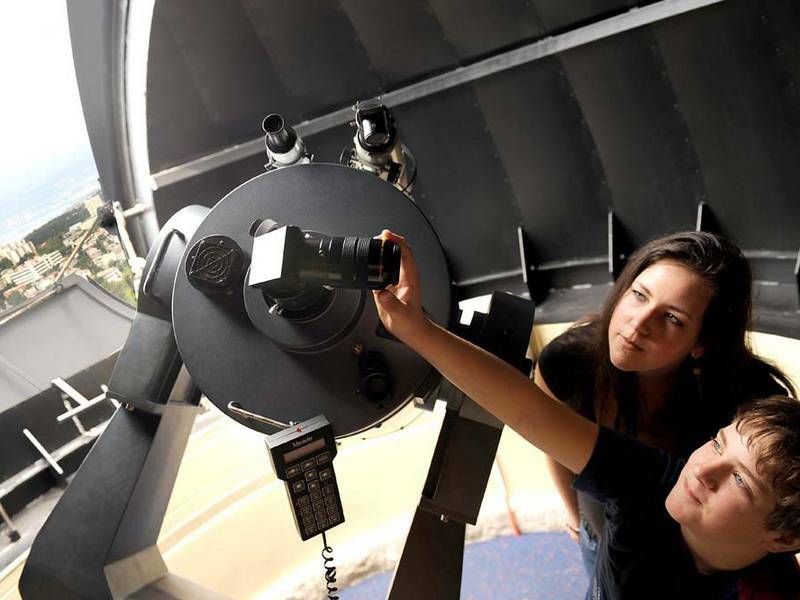 In 1974, Academic Astronomical Society Rijeka was founded, aiming at developing astronomy and related fields and making them more accessible to the young population and general public. Ever since the early days of the Society, there has been a call for an observatory that would meet the needs of serious astronomical work and become a place of interest and education for wider public. A significant step forward towards the realization of a long lived dream was made in the late 1980s, but it wasn’t until 2001 that the dream finally came true with the construction of the observatory. Today it is a part of the Astronomical Centre along with the digital planetarium. Rijeka Observatory has found its place in history of astronomy the moment its telescope discovered two variable stars. The observatory can host up to 10 visitors. 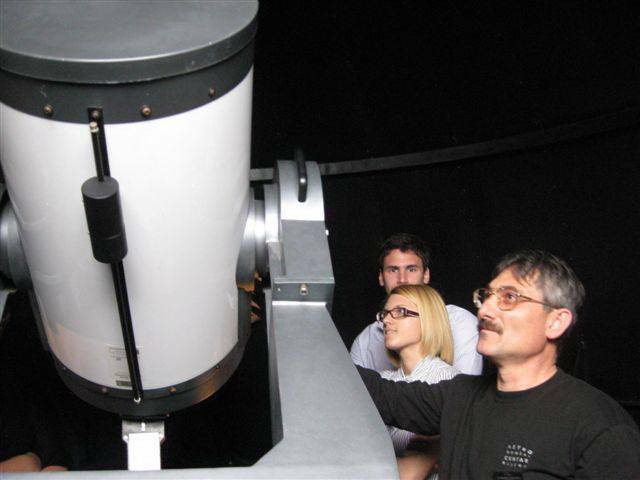 The observatory contains the astronomical telescope MEAD LX 200, CCD camera, computers and other portable astronomical equipment which allows both professional and educational activities to be carried out. Observatory works according to schedule in case of good weather. Before the visit we suggest to call Centar direct on phone number:051-455-700. Until the invention of the telescope in the 17th century the astronomical observations relied on only what the naked eye could see from the special observation posts, high towers and temples, and by using only simple instruments for measuring angles. First observatories with built-in measuring instruments were designed by the Arabs in the 9th century, and the first European observatory was erected in the 15th century. As the lens grinding technique flourished in the 19th century, the construction of big modern observatories started.